Powerscourt Waterfall is the highest waterfall in Ireland and features 121m of cascading water, set in beautiful parkland. 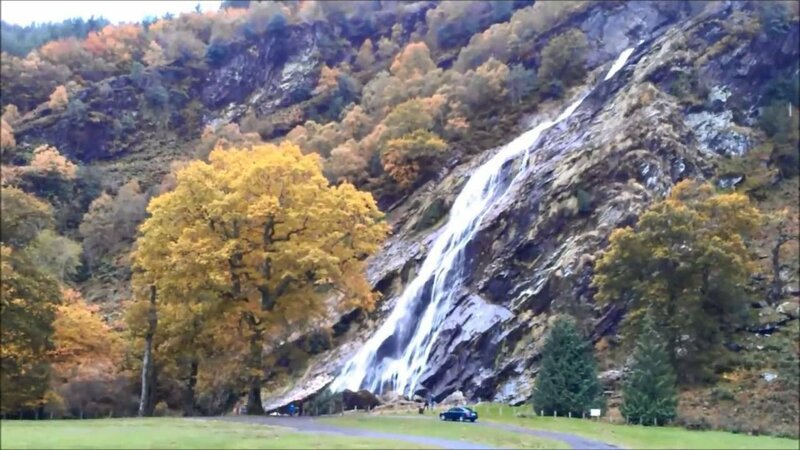 Discover trees that are hundreds of years old, meet our local wildlife and picnic in the Wicklow countryside. Powerscourt Estate is located just 20 minutes south of Dublin, and there are many transportation options available to reach us. The closest public transportation to the estate are the 185 and 44 bus services which leave visitors in Enniskerry village in County Wicklow, a short walk from the Estate (approximately 25 minutes, wear comfortable shoes). Bus timetables are available here. The nearest DART station (rail) to the Estate is Bray, County Wicklow which connects the 185 bus with Dublin City Centre. The rail line runs along the coast of Dublin, from Malahide and Howth southwards as far as Greystones, County Wicklow. Full timetables for the DART are available here. Take the N11 southbound (Wexford). At approximately 19km , take exit 7 for Bray south, Enniskerry, Powerscourt Gardens. Turn left at roundabout, over flyover and rejoin N11 heading north. Take first left for Enniskerry Village (Exit 6a). Continue along road to Enniskerry Village. Take the road to the left of the clock tower, in the village square, continue up steep hill for 600m. Powerscourt entrance is on the right-hand side opposite church entrance.